If this is your first badge sale (or if you're just an observer who thinks we're all batshit crazy), you might wonder how registration for a comic book convention got to this point. 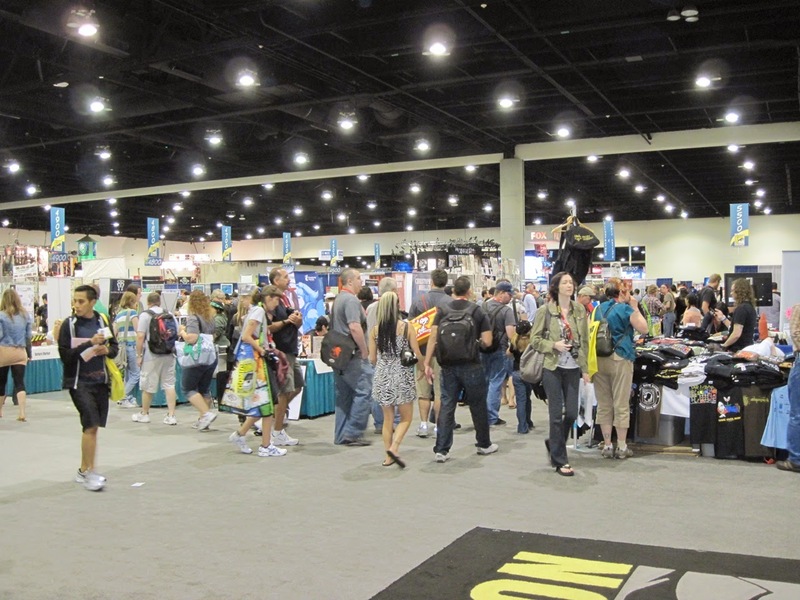 While I can't claim the serious veteran status that some attendees can, I have been going to San Diego Comic-Con for almost all of my adult life and remember when it looked quite a bit different. My SDCC life didn't start out with panic and anguish; I pretty much assumed back then that if I wanted to go to SDCC, I'd always be able to go. Years later, here I am. Here we all are. This was my initiation into Comic-Con insanity. 2002: I had just moved to the west coast from NY and really wanted to go to SDCC. I was dating another comic book fan at the time so we called around Friday night, booked a room at a Comfort Inn and drove to San Diego. We walked in the doors late on Saturday morning and bought badges - not a line in sight. 2003: The next year we booked a room for 4 days - at a now-extinct hotel whose ghost hovers over Petco Park - and drove in. There was an incredible line for badges that we stood in for about 2 hours. 2007: I was waiting in a checkout line at Whole Foods when a friend called and said, "Did you hear that 4-day badges just sold out?" I apparently looked so distraught that the cashier gasped and asked if I was ok; she thought I'd been told someone died. I rushed home and bought the (also-extinct) 3-day badge: Thursday, Friday and Sunday. As soon as I arrived at the Con, I bought my badges for next year - like a jillion other people. 2010: I got my badge at the Pre-reg desk, right before it sold out onsite for the first time ever. I could see the future and it was ugly. 2011: CCI shifted 2012 Pre-reg to the Grand Hyatt down the street, announcing they would only sell a limited number of badges each morning. Everyone lined up in the pre-dawn hours on Thursday and eventually shuffled through a ballroom where huge monitors broadcast the percentage of each badge left - a meaningless statistic since we didn't know how many were on the dock to begin with. A weird hybrid of fatalism-hope-denial settled in as everyone tried to connect their place in line to the dwindling percentage on the board. Preview Night sold out about 30 people ahead of me. Everyone turned to each other and said, "Tomorrow I'll get here at 3 a.m. instead of 6 a.m.!" And everyone did, except for the people who arrived at 1 a.m., 11 p.m., etc. I skipped it and later prevailed in the online sale. 2012: SDCC announced there would be no onsite Pre-reg for 2013 at the Con - it would be an online sale. And the cycle of two online sales a year began, at first on a "first come, first served" basis and then as the lottery we have today. So no - it wasn't always this bad. And when you hear old-timers grumble about how crazy it's gotten and how it's not worth going anymore because nothing can compare to the halcyon days of the past - know that they're not just bitter, they're kind of right. Obviously SDCC is still fun. But there was a time when it was guaranteed, too.